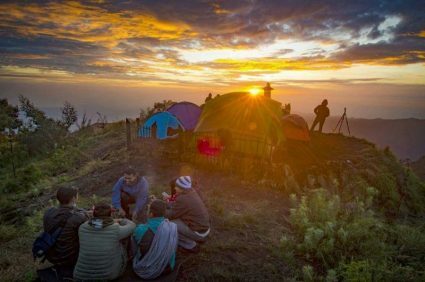 Mount Bromo Stargazing Tour Package is focus to the natural phenomenon that occurs at night in Mount Bromo form a collection thousands and even millions of stars that have the volume of gas and dust formed in the galaxy, The beauty of Stargazing that is happening in mt bromo area can’t be seen directly but we must have camera DSLR or binoculars to see it. This natural phenomenon can be see from around mount bromo area because there isn’t many light contain in this area. 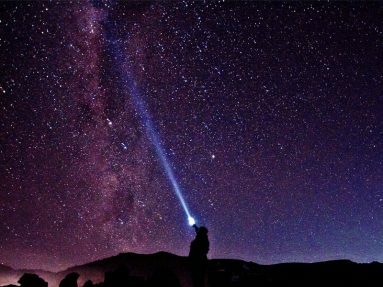 Milky way or stargazing can only be see if the circumstances surrounding it is not many light. Pick up you by our driver or tour guide service in Surabaya airport or train station in Surabaya or Malang based on your time schedule and drive to Cemoro lawang village for about 3 – 4 hour driving, you can stop wherever you want and talk to our tour guide or driver for lunch in local restaurant or toilet, after that we will continue driving to go to Cemoro Lawang village, the last village at mount bromo area. At 10.00 pm we will start to go to sand of sea the spot take picture milky way ( optional ). At 12.30 am wake up early for the preparation for take picture stargazing and see the sunrise at Mount bromo, the most best view point in the bromo at penanjakan mountain include Tengger Caldera enjoy take pictures and watch the sunrise of mount bromo and panorama caldera, mount Batok, mount Bromo active and the highest mountain in Java, Semeru mountain ( 3.676 mpdl ) every 20 minutes will release smoke. Once satisfied with the sunrise. Return to the jeep and driving down to cross the sea of sand to go to Bromo carter, savana / teletubbies Hill from here we shoot of grass and caldera from other side.